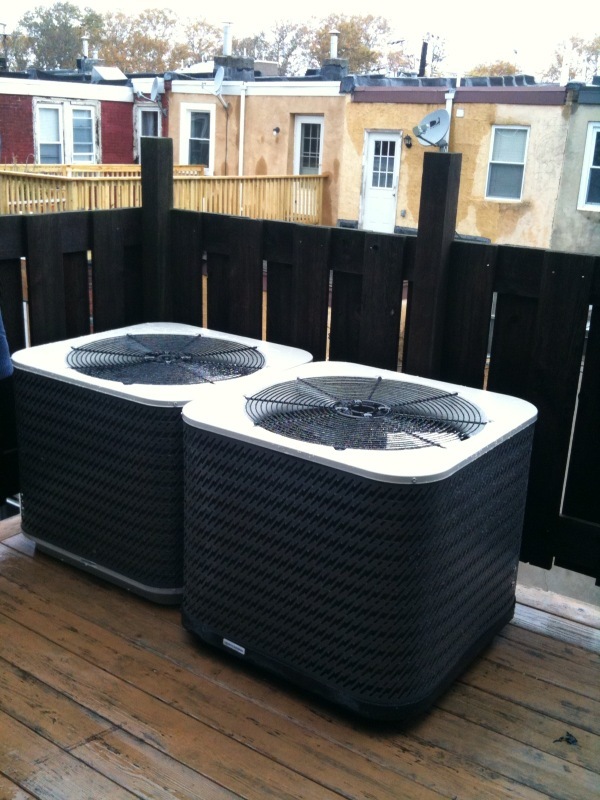 … In time for winter 🙂 here are our units which will sit on a deck of sorts on our roof. They will of course cool the air when its hot but also have heat pumps so we can have electric heat in spring and fall when the radiators are less efficient (down to around 40 degrees) after which point the thermostat will send a message to fire up the big guns, our existing radiators. Our heating cooling system has gotten a bit complex but ultimately will be super efficient.